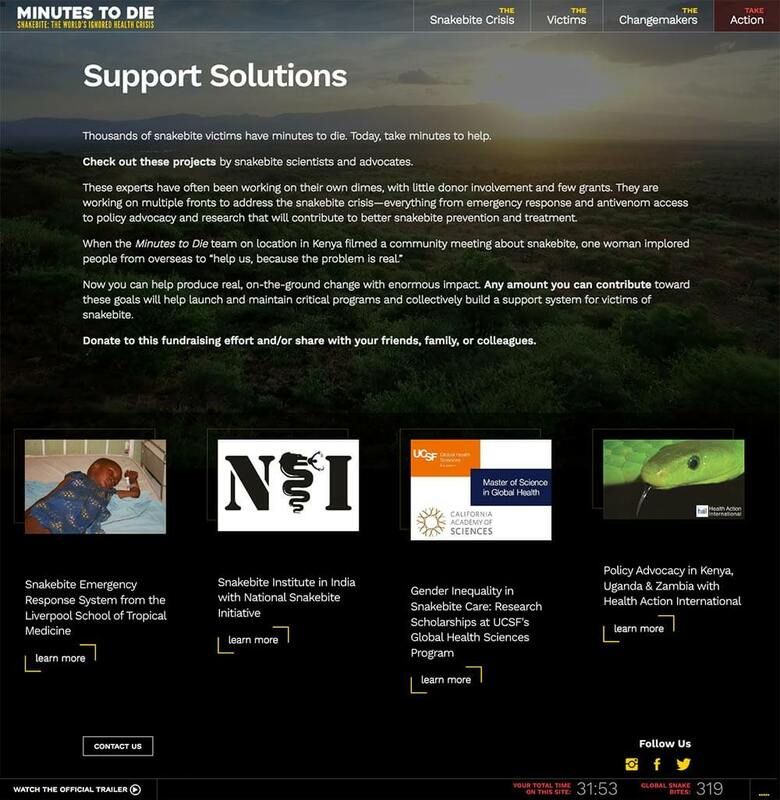 Minutes to Die is a documentary that focuses on the global health crisis of snakebite. Director James Reid wanted a website that was as compelling as the film itself. We were tasked with designing and building the experience. The site is built on WordPress to allow for full access to the content. One of the many goals of the site is to share the issue so fresh content was a must.